Some of the best praise and worship music available performed by some of the biggest names in contemporary Catholic music. Pray Your Heart is a remarkable combination of youth ministry resources based on The Catholic Youth Bible. Designed especially to help young Christians deepen their faith, it can enhance prayer and worship for people of all ages. It includes a 16-song CD, songbook, the Youth Bible and a resource manual. The Pray Your Heart CD contains some of the best praise and worship music available, performed by some of the biggest names in contemporary Catholic music, including Sarah Hart, Janèt Sullivan Whitaker, Donna Peña, Steve Angrisano, Tom Booth, Jaime Cortez, Jesse Manibusan and Trevor Thomson. It's an eclectic mix of music, with styles ranging from folk, pop and rock to reggae, gospel and salsa. Featuring 12 contemporary psalm settings from Spirit & Song and other collections, the CD also contains two bilingual Spanish-English songs and four bonus tracks. It's great listening, and it's a wonderful way for young people to experience the poetry and power of the Psalms. The songbook contains the music for all 16 songs on the CD, with both guitar and keyboard accompaniment parts. Expertly written and beautifully designed, this leader's guide for youth ministry features discipleship activities, group exercises and study materials for young people. Intended as a supplement to be used in conjunction with both the Pray Your Heart CD and The Catholic Youth Bible, this well-designed book devotes two pages to each of the 12 psalm settings on the CD, listing key verses and themes from the song and suggesting Scripture readings, questions for discussion, activities, and prayers. An indispensible resource for youth ministers. Pray Your Heart is a remarkable combination of youth ministry resources based on The Catholic Youth Bible. Designed especially to help young Christians deepen their faith, it can enhance prayer and worship for people of all ages. 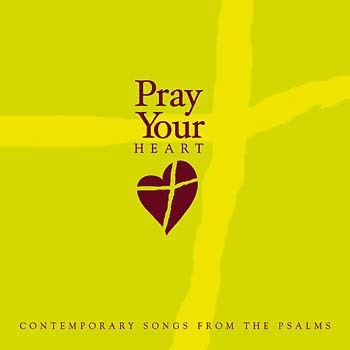 The Pray Your Heart CD contains some of the best praise and worship music available, performed by some of the biggest names in contemporary Catholic music, including Sarah Hart, Janèt Sullivan Whitaker, Donna Peña, Steve Angrisano, Tom Booth, Jaime Cortez, Jesse Manibusan and Trevor Thomson. It’s an eclectic mix of music, with styles ranging from folk, pop and rock to reggae, gospel and salsa. Featuring 12 contemporary psalm settings from Spirit & Song and other collections, the CD also contains two bilingual (Spanish/English) songs and four bonus tracks. It’s great listening, and it’s a wonderful way for young people to experience the poetry and power of the psalms. Expertly written and beautifully designed, the leader’s guide—an indispensable resource for youth ministers—features discipleship activities, group exercises and study materials for young people. Intended as a supplement to be used in conjunction with both the Pray Your Heart CD and The Catholic Youth Bible, this well-designed book devotes two pages to each of the 12 psalm settings on the CD, listing key verses and themes from the song and suggesting Scripture readings, questions for discussion, activities and prayers.